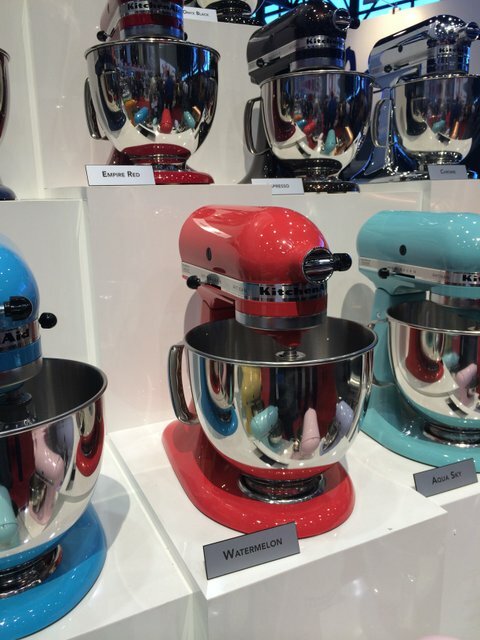 Not since the 1970’s have there been so many choices in colorful home appliances and accessories, Lea Eiseman told the audience at last years’ International Housewares Show. (She directs the Pantone Color Institute and helps select the Color of the Year.) But would a Lavender Cream stand mixer make me more likely to bake this weekend? I am not sure but I do know that manufacturers and retailers are banking on color to attract elusive Millenials to invest in home goods. Paint manufacturers and architects, fashion and tabletop designers all have their eyes focused on color. It appeals to Millenials’ rebellious side, said Tom Mirable, Consumer Trend Forecaster for the Housewares Association, another informed speaker at the show. Color engages them to make a purchase. On this dreary day in the Northeast, the candy-colors at the Kitchen Aid display are cheering. That Toasted Almond is a trend color for the spring makes me ever happier. Know what I’ll be baking with this weekend if not in a pastel-colored appliance. Interested in tabletop and color trends? Here is a piece I wrote for Gourmet Retailer Magazine recapping the Fall 2014 NY Tabletop Show. 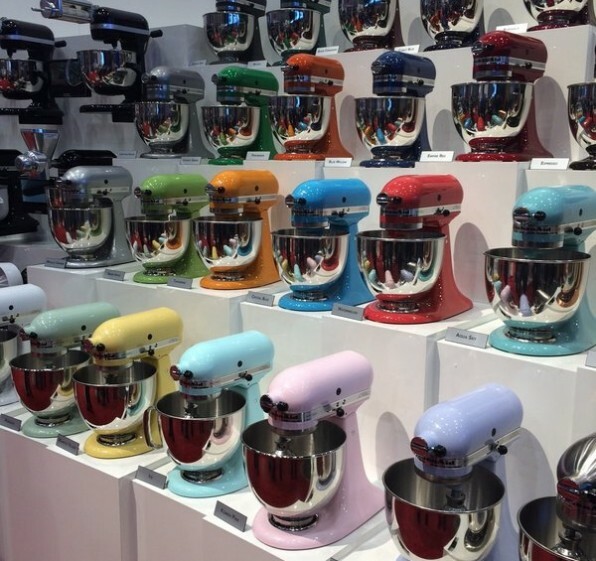 Want to win a colorful Kitchen Aid stand mixer? Turns out that King Arthur Flour has a contest running for this very thing.